SC Moving. Greater Portland’s moving company! 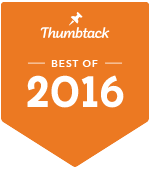 Thumbtack rated the 10 best movers in the Portland area and we came in at the top of the list! Don’t just take our word for it, Angie’s List says it for us. SC Moving is focused on your satisfaction! We at SC Moving always put our customers first. We are a family owned and operated, local moving company. We provide a wide range of moving services in Southern Maine, Greater Portland and surrounding areas including Cumberland, York, Androscoggin, Oxford, Lincoln, Sagadahoc, Kennebec, Knox, Waldo, Franklin counties. We also offer long distance services to all corners of ME, New England and, in some cases, throughout the Northeast. At SC Moving your satisfaction is our number one priority. That is why we cater to your specific moving requests. We understand that moving can sometimes be a difficult and challenging transition, that is why on your moving date you can sit back and relax, and let SC Moving do the rest. We accepts major credit cards including Visa, Mastercard, Discover and PayPal. Whether you need movers in Portland, Cape Elizabeth, Falmouth, Yarmouth, Freeport, Cumberland, or South Portland, we serve all of these zip codes and most of southern Maine. 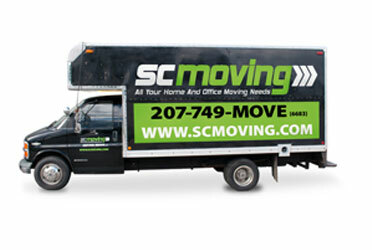 SC Moving provides a fast, efficient and pain-free moving experience for your home, office or storage. We are there every step of the way to help you organize door-to-door re-locations – from helping you pack/unpack, disassembling and reassembling your furniture, to arranging multiple stops.